It's been a few years since I visited Monhegan Island, Maine. 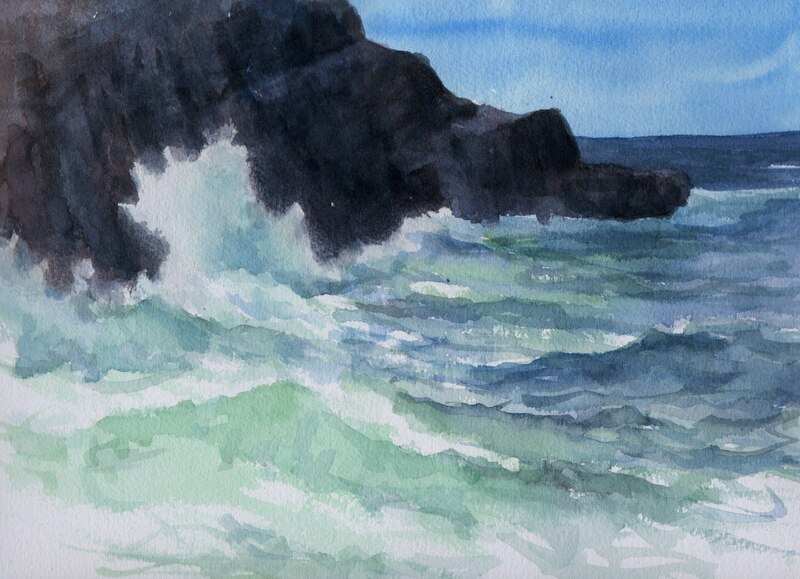 I painted this watercolor on the island in 1992. I recently decided to change careers, but am first taking a very long summer vacation...I haven't had more than one week off at a time in years and am looking forward to the next six weeks. One week ago I started my first week of not going to work at a hotel, after 32 years. During this first week, I've been busy clearing space and junk to make room for artwork to come and a new creative future...and I've been making banana bread, fixing meals, cleaning and sorting and spending time with my wife on her days off from work. That's special, too, as we haven't had a lot of the same days off the past two years. I may not make it back to Monhegan this year, but have talked to some friends about a trip next summer. In the meantime, I'm gearing up for art and relaxation....more to come!